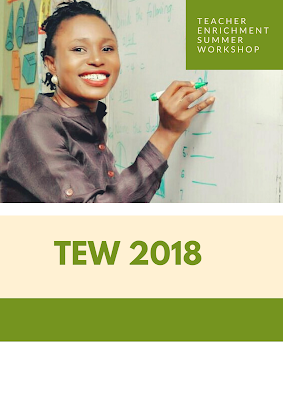 TEW is concerned with how educators help their students to learn and develop, while also focusing on other aspects which help educators to produce well-rounded students and enjoy institutional growth. Join us for TEW 2018! You will be glad you did! Sessions at the day camp not only give educators’ language skills some new energy, but challenge them to fulfill their instructional role most effectively. TEW provides a framework for teachers and trainers to build grounded teaching methods, increase classroom leadership and professionalism on the job. In this two day training you will explore the topics of teacher’s etiquette in detail, rudiment of phonics, important keys to learning process and how to deliver effective class. Register now and take your teaching career to the next level or increase institutional growth and enjoy increased productivity and financial bottom-line. Venue: 108, Herbert Macaulay Way, Lagos. Click HERE to put down your name, email address and what you intend gaining from TEW 2018.